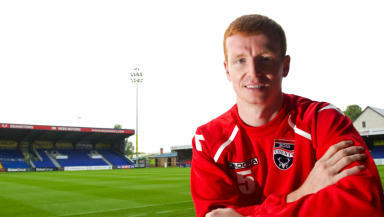 Ross County v Hamilton: Can Reguero fill in for suspended Mark Brown? Can Hamilton's Ali Crawford fine delivery from corners unsettle County's stand in goalkeeper? After a miraculous run of form that saw Ross County pull away from the relegation zone, they have suffered from nerves with the finish line in sight. Last weekend’s defeat to St Mirren was symptomatic; dominant in the first half, only to appear hesitant and edgy once they had the lead. However, Ross County still hold their own destiny in their hands, and will confirm their place in next season’s Premiership if they can better Motherwell’s result this weekend. One problem they will have to overcome is the loss of Mark Brown to suspension. While County have been far from perfect defensively, he’s been a solid custodian, whether that is keeping his side in matches or keeping the score down. Antonio Reguero has shown himself to be a fine goalkeeper on his day, especially during his spell at Inverness, but error-strewn performances when called upon this season have raised question marks. The head-to-head stats only ever tell part of the story, but they do highlight that the Spaniard will have to be more focused than he has often been this term. One of the biggest tests that Reguero will face will be from corners. Ali Crawford has assisted three goals from his corners this season, only Niall McGinn has provided more. While three goals from corners is a reasonably good return from almost a full season, the real intrigue is in the fact that three of the four corners that Hamilton have scored from this term have been against Ross County, with Daniel Redmond adding to two from Crawford. 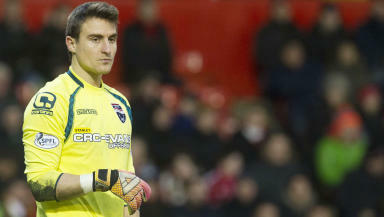 Mark Brown and Scott Boyd are suspended for Ross County's Scottish Premiership game against Hamilton. Defender Boyd received his sixth booking of the season against Motherwell and goalkeeper Brown was sent off in the closing stages of County's defeat by St Mirren. County have no fresh injuries but Darren Barr (knee) remains on the sidelines. Provisional Ross County squad: Reguero, Carey, Kiss, Cardle, Jervis, P Quinn, Dingwall, Gardyne, Palazuelos, Woods, Irvine, Dunfield, Reckord, Curran, Fraser, Saunders, Meite, De Vita, Boyce, R Quinn, Frempah, Brittain, Sernas, Tait. Michael Devlin is out of the Hamilton squad for Saturday's Scottish Premiership clash with Ross County in Dingwall. The Accies defender suffered knee ligament damage against Partick last week. Player-manager Martin Canning could return to replace Devlin after leaving himself on the sidelines in recent weeks while Danny Redmond and Ziggy Gordon are both still out with knee problems, along with Aldin El-Zubaidi (knock) and long-term absentee Andy Ryan (groin). Provisional Hamilton squad: McGovern, Lyon, MacDonald, Hendrie, Gillespie, Tena, Longridge, MacKinnon, Scotland, Crawford, Imrie, Sumsky, Tagliapietra, Lyon, Watson, Brophy, Docherty, Hill, Hasselbaink.